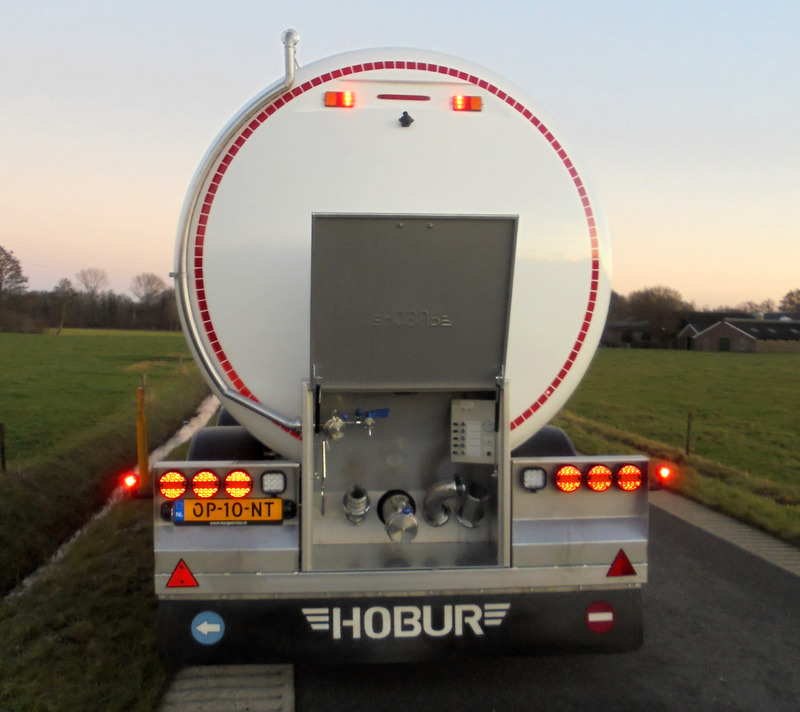 Hobur has developed a light weight tanker trailer with a capacity of 38.000 liter. The stainless steel tank is self-supporting so the trailer has no frame. The Valx 10-ton axles are mounted directly to the tank. The first- and the last axle are steered with steel cables and steel connections. The tank is equiped with pneumatic valves on the top. There are two compatements inside the tank. The Hobur tank trailer is 10,60 meter long and weighs only 6.760 kilo. The Scania tractor weighs 7.160 with a nine- ton front axle.